﻿ Fairfield Fun Center - Ohio. Find It Here. The Fairfield Fun Center has been part of the Fairfield community since the early 1990s. This family fun center is a great spot to gather and enjoy time playing together. Make your way up and around the mountain at one of the prettiest mini golf courses you've ever seen. 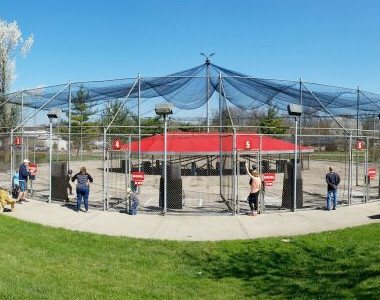 Swing away at baseball or softball pitches in the batting cages. When you're ready for a break visit the Snack Shack for ice cream treats and goodies!